Stop machine automatically if cover is pened during operation. Full Speed is reached in seconds to achieve maximum oil dispersion. 900 RPM's makes it the fastest in its class. Braking is done automatically by motor. Special basket alignment makes balancing loads easier. 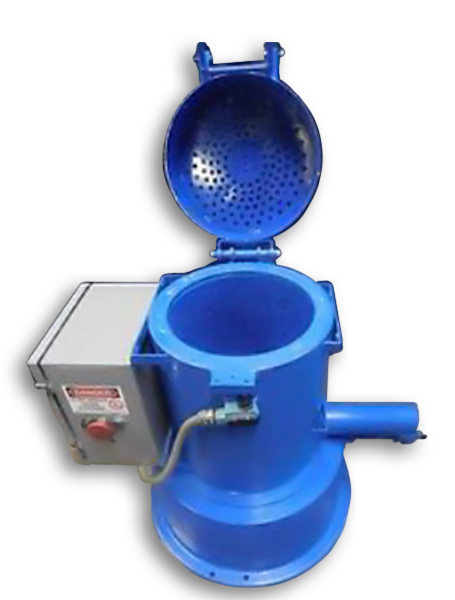 • Reduce cost of contaminated oil disposal - thru separation. • 95% oil cost reduction possible. • Removes oil from turnings, chips or parts, or absurbents fast. • We guarantee 80% savings over gravity draining. • Increase chip value thru cleaning.